Bunnies . 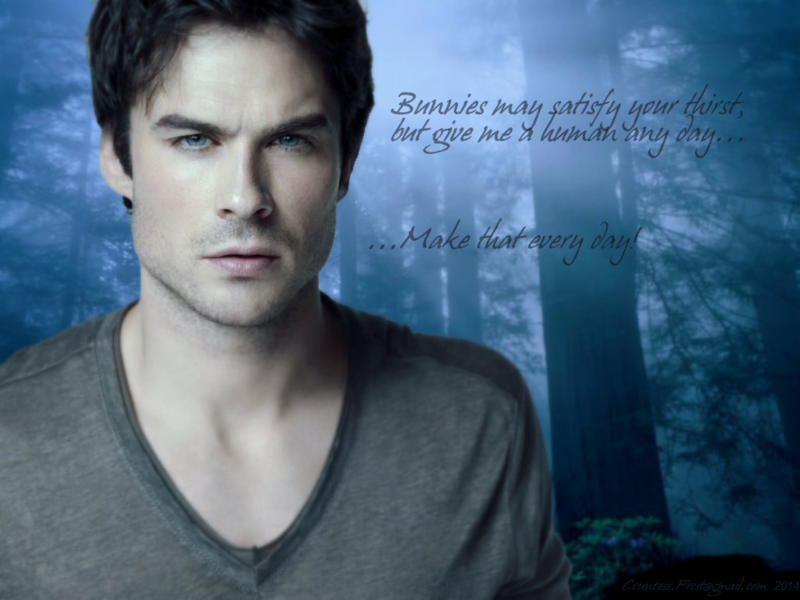 'Bunnies' wallpaper created by TheCountess features Ian Somerhalder as Damon Salvatore of the TV series 'The Vampire Diaries'.. HD Wallpaper and background images in the Damon Salvatore club tagged: photo the vampire diaries tvd tv series damon salvatore ian somerhalder fan art wallpaper thecountess. 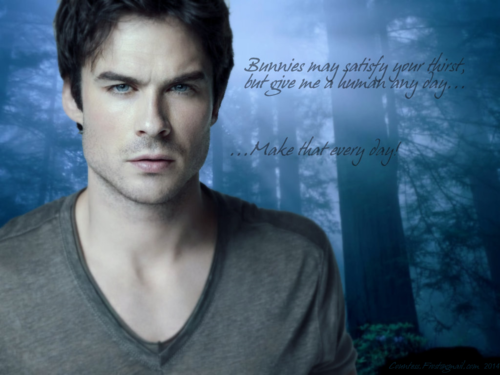 This Damon Salvatore wallpaper might contain portrait, headshot, and closeup.